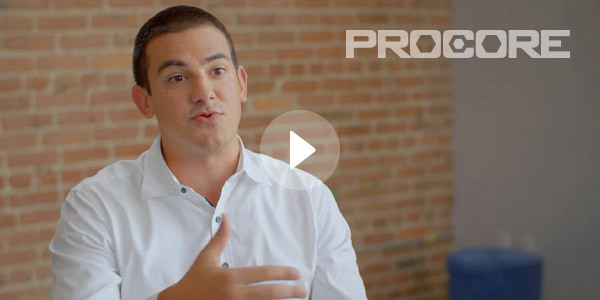 You're using UserVoice to prioritize your product roadmap, but when you decide what to build next you need a way to connect your customer ideas to specific engineering tasks. With the VSTS Integration, you can connect work items in VSTS to Features and Suggestions in UserVoice. As work items in VSTS are updated, their status is reflected in UserVoice and vice versa. 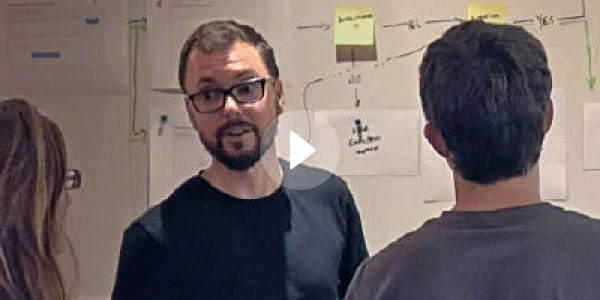 This allows you to keep Product and Engineering efforts in sync. After installing and configuring the VSTS integration, a new content block will be visible when you view a Suggestion or Feature detail page in UserVoice called “Linked VSTS Work Items”. From this block, you can click "Add" to create a new VSTS work item or link existing ones. Information about the VSTS work item will then be pulled into UserVoice, including the type of work item, name, id, and current status. When the status or name of a linked work item is updated, it will be automatically reflected in UserVoice. 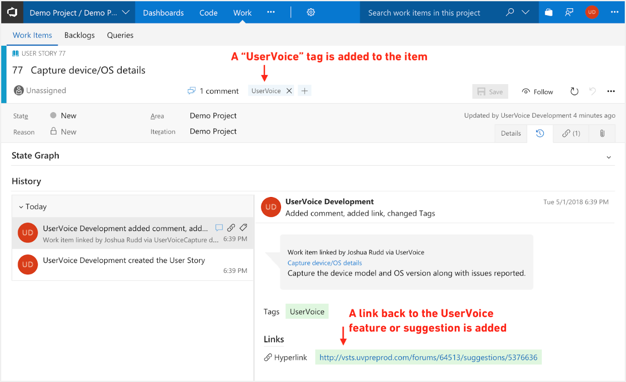 In a similar manner, details of the linked UserVoice feature or suggestion will appear in the History feed on the VSTS work item, a tag labeled “UserVoice” is added to the item, and a link back to the Suggestion or Feature is added to the item’s Links. Multiple UserVoice features and suggestions can be linked to a single VSTS work item, and multiple VSTS work items can be linked to a single UserVoice item. As UserVoice items and VSTS work items are updated, their status is reflected in each system. In the data grid views of Features and Suggestions in UserVoice, you will now see a new “Linked VSTS Work Items” column and “VSTS Status Last Updated” column. These will show you the number of VSTS work items linked to each Feature/Suggestion, and when one of them was last updated - letting you see how development is progressing at a glance. Please note: Updating the status of a VSTS work item or UserVoice Feature or Suggestion does not automatically change the status of the linked object in the other system. When a developer moves a work item in VSTS to “DONE”, it does not automatically send out a status notification to the supporters of the linked Suggestion in UserVoice. You can also leverage the new “UserVoice” tag in advanced search queries, table views, and reports within VSTS to quickly see which items are linked to UserVoice. Q. Is there a way to display linked VSTS work item statuses to end-users? A. No. Information about linked VSTS work items, including status, is only visible to UserVoice admins. Q. Does updating the status in VSTS update the status of the linked Suggestion or Feature in UserVoice? A. No. The current status of linked VSTS items is visible to UserVoice admins, and the status of linked UserVoice features/suggestions is visible in VSTS, but they do not automatically update the public status of each other. This means that when a developer moves a story or issue in VSTS to "DONE", it does not automatically notify all the related supporters and contributors in UserVoice. This is important because a story being “DONE” in VSTS does not necessarily mean it’s ready for customers. Q. Can VSTS work items be automatically created from UserVoice Suggestions or Features? A. No, but you can manually create a VSTS work item from a UserVoice Suggestion or Feature. When creating a VSTS work item from within UserVoice, the item’s title and description will be pre-populated and a link back to UserVoice will be added. Q. Can I link my UserVoice account to multiple VSTS accounts? A. At this time, the integration can only be used with a single VSTS account per UserVoice account. If you would like to see this changed, please add your support to this idea on our forum.